Enabling mouse over scrolling, i use the mouse scroll wheel? 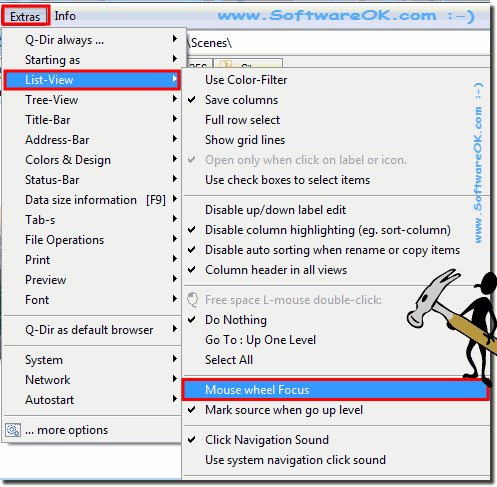 Plase easy enable mouse over scrolling in the Quad-Directory-Explorer! This is for Tree and explorer List Views! Tip for System-Wide mouse scroll over program: .... Download AlwaysMouseWheel! (Image-1) Enabling mouse over scrolling, File Manager! Q-DIR - FAQ-75: Enabling mouse over scrolling, i use the mouse scroll wheel! ?